A Hippy Appliqués Set including 4 hippy themed embroidered appliqués/Badges/Patches – Ideal for any 1960s, 1970s or any other fancy dress occasion! 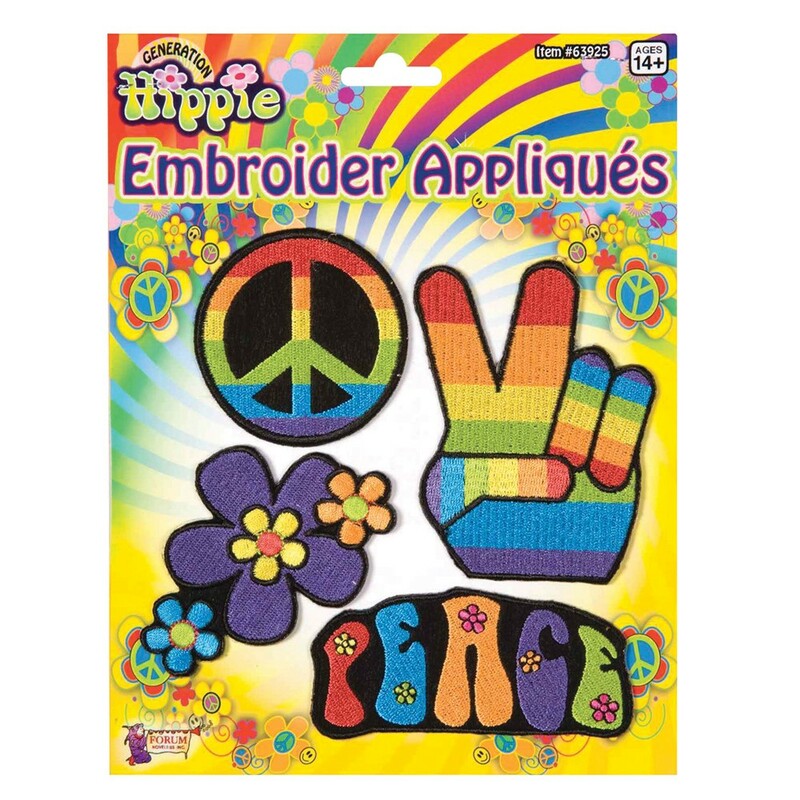 Add a taste of the 60s to any fancy dress look with these fantastic Hippy Appliqués Set . The Hippy Appliqués Set comes complete including a set of four hippy themed embroidered appliqués. From the flower power peace sign and the CND symbol this Hippy Appliqués Set will be sure to add the perfect finishing touch to any hippie themed fancy dress look. So make sure you look the part with this brilliant Hippy Appliqués Set. Including a set of four hippy themed embroidered appliqués/badges.